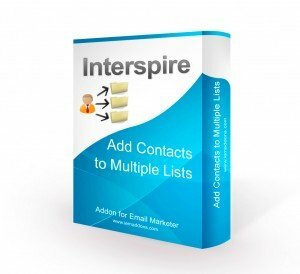 How frustrating is it when you need to add a contact to several contact lists? Adding a contact over and over to different lists is enough to make anyone crazy. 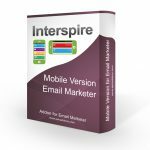 It seems like a significant oversight that out of the box Interspire Email Marketer doesn’t allow the user to add contacts to several lists at the same time. This custom development will fix that. 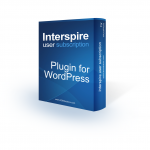 Often our clients have large contact lists they want to import to several contact lists. 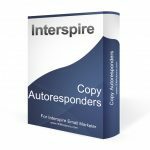 Currently Interspire Email Marketer would force you to repeat the import process for each contact list. 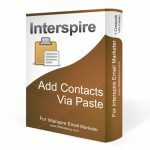 With this custom development for Interspire, now available for sale, you can select as many contact lists as you wish when adding or importing contacts. When adding a contact in the “Add Contact” menu you can select multiple lists in the menu by holding down the control or shift button. On the following screen when you enter the contact information each of the selected lists are shown. If the different lists selected have different custom fields all the custom fields will be shown together on the add contact page. When importing a list of contacts you can select multiple lists in the menu by holding down the control or shift button.